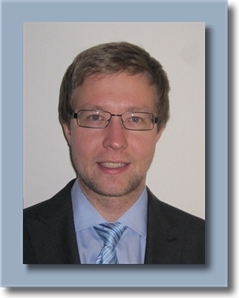 Zdenek Becvar is now Associate Professor at the Department of Telecommunication Engineering, Czech Technical University in Prague, Czech Republic. He works on development of solutions for future mobile networks (beyond 5G) with special focus on optimization of radio resource management, mobility support, device-to-device communication, edge computing, C-RAN, self-optimization, and architecture of radio access network. He received M.Sc. and Ph.D. in Telecommunication Engineering from the Czech Technical University in Prague, Czech Republic in 2005 and 2010, respectively. From 2006 to 2007, he joined Sitronics R&D center in Prague focusing on speech quality in VoIP. Furthermore, he was involved in research activities of Vodafone R&D center at Czech Technical University in Prague in 2009. He was on internships at Budapest Politechnic, Hungary (2007), CEA-Leti, France (2013), and EURECOM, France (2016). He participated in several FP6 and FP7 projects founded by European Commission and in national research projects. From 2013 to 2017, he was a representative of the Czech Technical University in Prague in ETSI and 3GPP standardization organizations. In 2015, he founded 5Gmobile research lab at CTU in Prague focusing on research towards 5G mobile networks and beyond. He published 4 book chapters and more than 70 conference or journal papers. He participated as a member of more than 20 program or organizing committees at major international conferences or workshops; and he acts as a review for many prestigious journals including journals published by IEEE, Wiley, Elsevier, Springer, etc. He is the member of IEEE Communications Society, Computer Society and Vehicular Technology Society. You can also download my CV in pdf.